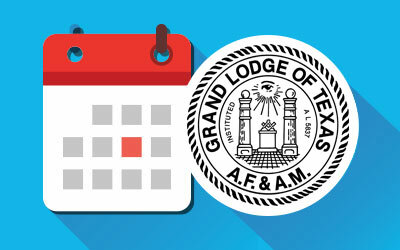 Thomas C. Yantis of Brownwood comes from a rich Masonic heritage, being the fourth generation of the Yantis family to hold membership in Brownwood Lodge No. 279 and bearing the name of his grandfather, Thomas Caldwell Yantis, who also was Grand Master of Texas Masons in 1909-19 10. The son of John T. Yantis (deceased PM of Brownwood Lodge) and Hope Arledge Yantis, he was born November 3, 1923 and attended the Brownwood public schools. A member of the class of 1944 at Texas A&M, he received a B.S. degree in 1947 after his college career was interrupted by military service in WWII as an Infantry Officer. His combat duty with the 42nd Infantry (Rainbow) Division in France, Germany and Austria earned him the Bronze Star for Valor with Oak Leaf Cluster and the Combat Infantryman’s Badge. Continuing in the 36th Division, Texas National Guard following the war, he retired in 1963 with the rank of Lt. Col. Upon receiving his degree from Texas A&M in 1947 he entered the banking profession and served 21 years with the First National Bank in Brownwood, resigning as Executive Vice President in 1968 to devote full time to ranching interests in Brown and McCulloch Counties. He is currently the managing partner of the Lazy Y Ranch, raising registered Horned Hereford cattle. While with the bank, he served three years on the State Administrative Council of the Texas Bankers Association. In 1948 he married Kathleen Alef Henley, familiarly known as “Muff’, and they have three children: John, an officer in the U. S. Air Force; Kathleen, a graduate of Texas Christian University; and Edward, in the fifth grade of Brownwood public schools. The Yantis family are active members of the First United Methodist Church of Brownwood, all having served in the Sanctuary Choir at various times and in other official capacities. Tom has served as Chairman of the Official Board, Sunday School teacher, Lay Leader and many other positions. Member of the Brownwood Rotary Club since 1947 and President in 1962, he has been active in civic and community affairs. He has held various offices in the Brownwood Junior Chamber of Commerce, Brownwood Chamber of Commerce, Comanche Trail Council, Boy Scouts of America, and Brown County United Fund. For many years he has been on the Executive Board and Vice President of the Boy Scout Council. He is a licensed amateur radio operator and aircraft pilot. Tom Yantis began his Masonic career in 1948 in Brownwood Lodge No. 279, receiving the Entered Apprentice degree on February 10, the Fellowcraft degree on March 9 and became a Master Mason on April 6. In 1975 he took dual membership with Indian Creek Lodge No. 807, also in Brownwood. 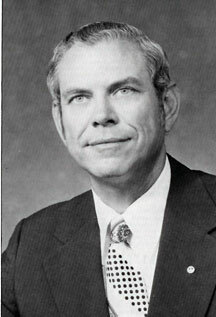 Master in 1962-63, he served as District Deputy Grand Master of the 109th Masonic District in 1967 and as Grand Orator of the Grand Lodge of Texas in 1972. He has held a certificate of proficiency in the esoteric work of Masonry since 1948, the same year he was initiated, and a Life Certificate since 1973. Brother Yantis belongs to all of the affiliated bodies of Masonry and many of their honorary organizations. A 25 year member of the York Rite, he became a member of Brownwood Chapter No. 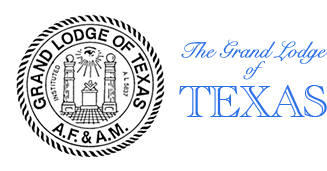 141, R.A.M., Brownwood Council No. 86, R. & S.M., and Brownwood Commandery No. 22, K.T., all in 1948. As a past presiding officer of each of these bodies, he received the Knight York Cross of Honour in 1969. He received the Order of High Priesthood and the Order of the Silver Trowel in 1962 and has been a member of St. Timothy Conclave of the Red Cross of Constantine in Fort Worth since 1968. He also belongs to West Texas York Rite College No. 36 in Lubbock and Nazareth Tabernacle XXXIV H.R.A.K.T.P. in San Angelo. He served the Grand Chapter of Texas as Grand Orator in 1963 and the Grand Council of Texas as Grand Conductor of the Council in 1962. Active in the Scottish Rite of Freemasonry, he received the 32nd Degree in Dallas Consistory in 1968 and affiliated with the Waco Scottish Rite Bodies in 1970. There he serves as the Prior of the 32nd degree team and holds a Life Membership since 1971. In 1973 he served as President of the Brownwood Scottish Rite Association, and in that year was awarded the rank and decoration of Knight Commander Court of Honour. A Shriner since 1950, he was initiated in Moslah Temple at Fort Worth and affiliated with Suez Temple in 1953, serving the latter as Potentate in 1970 and representative to the Imperial Council for several years. He is presently serving as Vice President of the Cabin International, the international order of the Past Potentates of North America and destined to become President of that group in the near future. 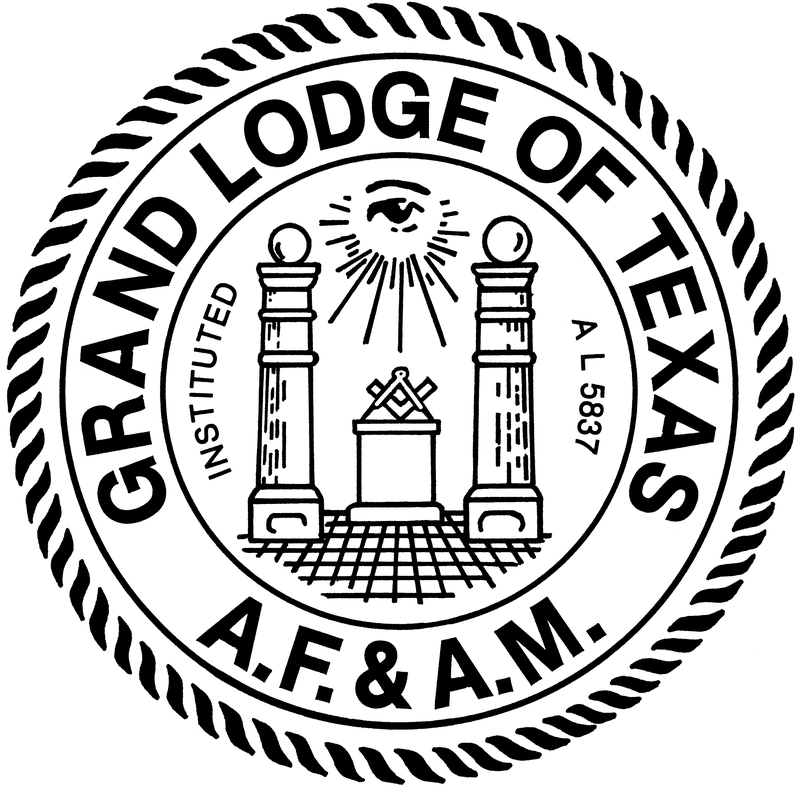 Brother Yantis was elected Grand Junior Warden of The Grand Lodge of Texas at its 137th Grand Annual Communication in Waco on December 7, 1972, and after regular advancement, became Grand Master of Texas Masons on December 4, 1975. An ardent and zealous Mason, he has devoted a great deal of time and effort to the Fraternity and is a popular Masonic speaker. During this year our Grand Master’s Messages have been outstanding in discussing his plans for Masonic participation in the National Bicentennial Celebration, making clear to the individual Mason the relationship and participation of Masonry in building our great nation and pointing out the relationship of God, Masonry and patriotism in the tremendous accomplishments of our country. He has inspired us to go further with his clear outline of Masonic opportunity and responsibility for the future. With ever increasing frequency he has included very pertinent quotations from the Holy Bible, the Great Light in Masonry, as guides and incentives to our future actions. If there ever was a time when our great nation needs the morality and ethics so clearly outlined in the Great Light of all Masonry, it is now and our Grand Master has led us unerringly to it. The Bicentennial Celebration will be known and remembered as historical and inspirational facts, and the accomplishment of this year will still be having their impact on the sons and citizens of that great day. Most Worshipful Grand Master, you have written history for future generations during your term of office as Grand Master of Texas Masons and this and future generations will call you blessed for it. You have won a place in our hearts with your inspired and dedicated service to our great Fraternity and we humbly and gratefully say thank you for your great leadership.